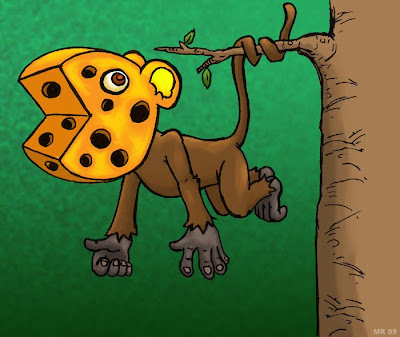 Cheesemonkey lives in the trees. Cheesemonkey has a head made of cheese. Cheesemonkey likes to eat peas.